I love Trader Joe's. I go there weekly and have my favorite things that I always buy. I also love when I discover new products. 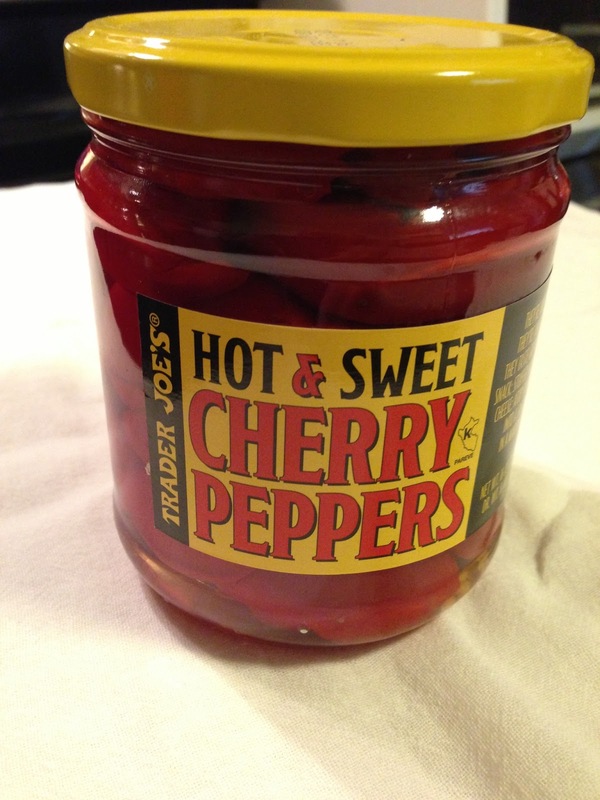 Latest one I found are their Hot & Sweet Cherry Peppers. To be honest, it may have been out for awhile and I just discovered them. I often go for exactly what I need and don't spend a lot of time browsing. I know you can find similar products at the grocery store but I've never found one I like. These remind me most closely of the more expensive Peppadew peppers - just the right amount of heat and sweet. 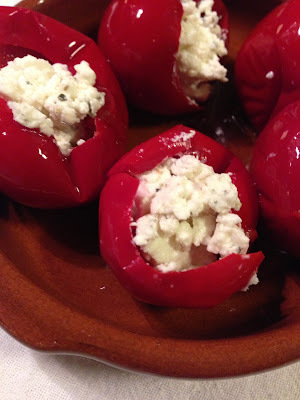 My favorite way to eat them are stuffed with goat cheese or feta cheese. Makes a nice little snack or a tasty starter. I'm thinking I would like to toast them slightly, and perhaps drizzle some balsamic reduction on top next time. I love that idea! Let me know how that turns out. I know this is an old post, but these are wonderful stuffed w/ homemade tuna salad -- go light on the mayo, or even skip it entirely. Great flavor combo. Please get them back soon. They are wonderful.